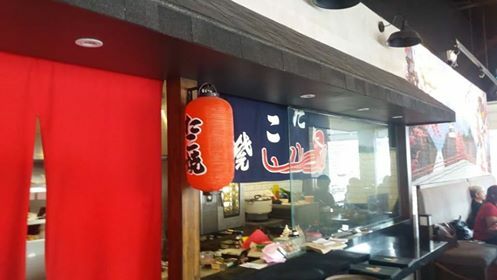 I was recently invited to savor Japanese dishes at Octoboy: I have been craving for takoyaki for some time now, and I thought the timing was right to indulge! I joined in the foodie group for an afternoon of tasting Octoboy’s all-time favorites, plus best-tasting offerings on their revamped menu. 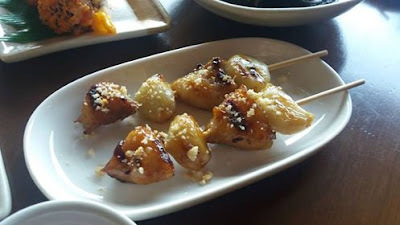 Octoboy was indeed a good option for a takoyaki craving and more! The new location is definitely bigger. While decors were minimal, the restaurant was comfortable.This hangout and chill place serves Japanese comfort foods. 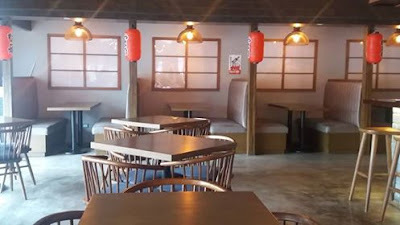 It is usually packed with customers as it is a good place to meet up with friends. I ordered their best-tasting Takoyaki and out came in six huge takoyaki balls. Takoyaki is cooked in a special moulded pan and filled with diced octopus, tempura scraps, pickled ginger, and green onion etc. 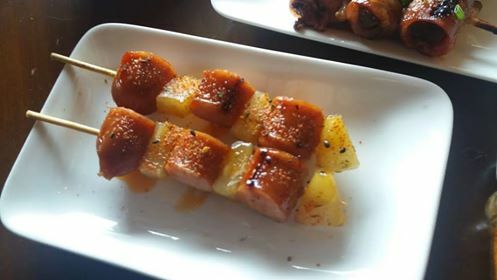 This ball-shaped Japanese snack made of a wheat flour-based batter comes in 4 variants: Octopus (P 165), Shrimp (P 200), Black Takoyaki (P 280) plus Bacon and Cheese (P 200). 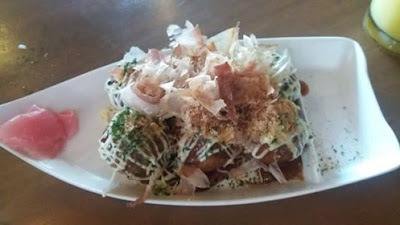 I had octopus takoyaki which was topped with takoyaki sauce, Japanese mayonnaise, aonori and bonito flakes. 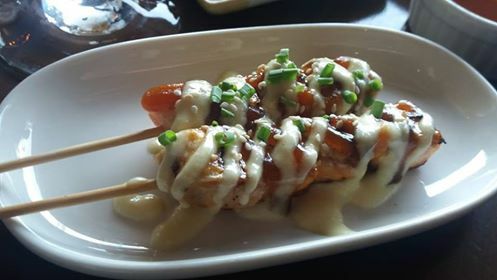 And rightfully so, it was the best takoyaki I have tasted! It was crunchy on the outside and soft on the inside just like I want it to be! The menu is quite extensive. They have ramen, teppanyaki, okonomiyaki, maki and a number of yakitori. 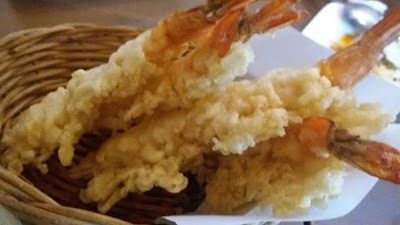 They also offer Ebi Tempura – prawns coated in an airy batter are deep-fried to a golden brown. Each prawn piece remains juicy inside as you bote in its crispy exterior. 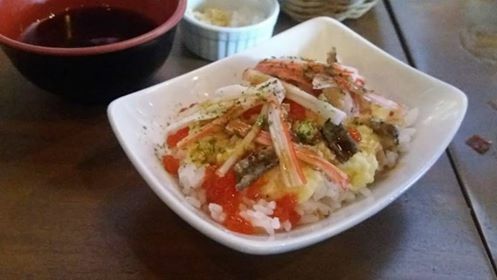 The tempura dipping sauce is served on the side with grated daikon radish. I became a fan of Japanese restaurants because of Ebi Tempura. I love Octoboy’s light, airy batter that is perfectly done and absolutely awesome to taste. 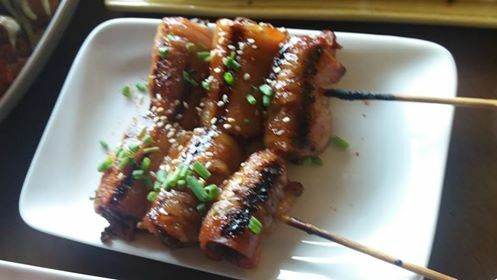 They also have good line of skewers! These were simple and straightforward. 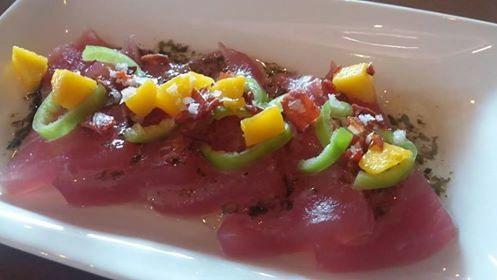 Though nothing fancy, it was flavorful and satisfying. 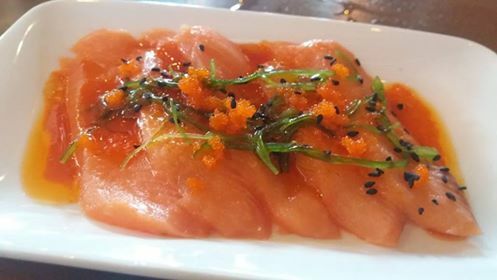 The Salmon Ceviche (salmon sashimi topped with Ikura, sauteed garlic and wakame) and Tuna Ceviche is something I would recommend. It is a wonderful, elegant, no-cook dish that is packed with flavor. 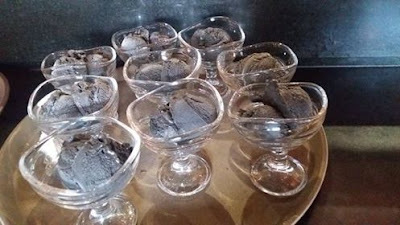 It makes a super starter for dinner parties. 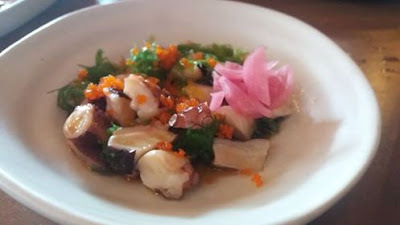 The Octopus Ceviche is also worthy to try out. 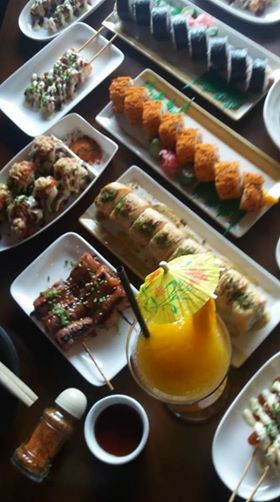 Kani Salad – comes with crispy greens, cucumber, fresh ripe mangoes, kani strips, tobilo and wakame. It makes use of vinaigrette as dressing plus a drizzle of Japanese mayo on top. 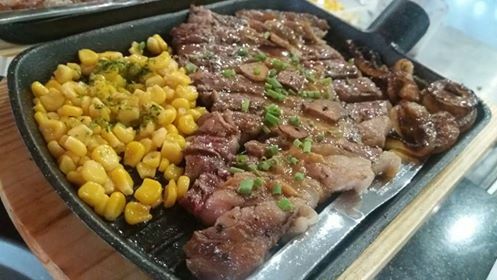 I love how perfectly they cooked the Sizzling Rib eye Angus Steak.Each perfectly pan-seared steak meat literally melts in your mouth. The porterhouse comes with a hefty serving of carrot sidings. Do check Octoboy's Acoustic Nights from Monday to Wednesday with resident DJ’s. 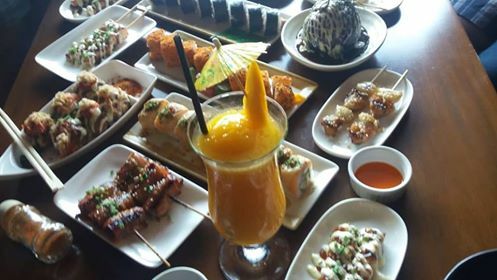 They also have Happy Hour Promo running from 3PM – 7PM. If your craving for a Japanese food, go to OCTOBOY Japanese Takoyaki Restobar. My only issue with the place is their small serving portion, but other than that, the rest is just perfection. Do follow Octoboy on Facabook and @octoboy on Instagram for updates.